Ghaya Grand Hotel is a luxurious family-friendly hotel, situated close by the business and financial districts at the International Media Production Zone. 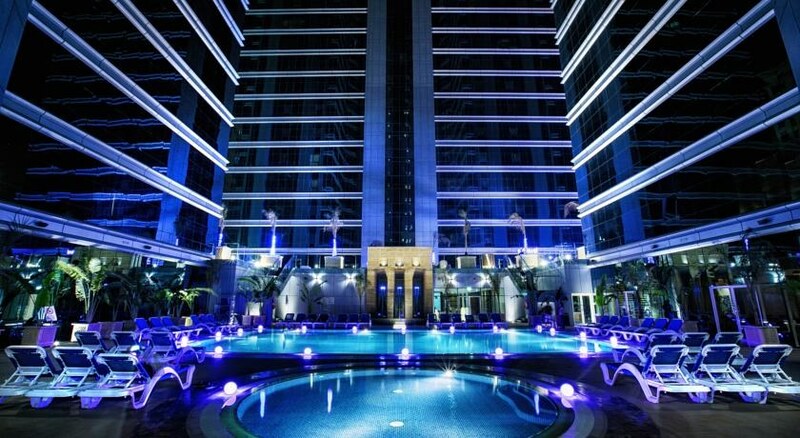 Located a short drive away from top attractions like Jumeirah Beach resort and Malls of Emirates and Ibn Batuta, this hotel offers a contemporary, chic stay in plush comfort in one of Dubai’s rapidly rising localities. Elegant guest apartments, rooms, and suites are designed with a contemporary and modern touches and hint of Emirati culture and welcome guests with a promise of unmatched, attentive service to make them feel at home. 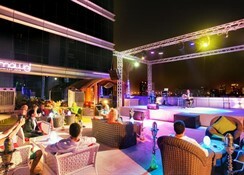 Dine in refined ambience at its gourmet restaurants—from Fusion to grills to Arabic and a host of other international tastes, chill out at the Club Lounge or Pool Bar with a drink in hand, or find bliss at its lovely Spa, this hotel lets you have a memorable stay during your Dubai city break. Ghaya Grand Hotel is within walking distance or short drive of many of Dubai’s attractions, Meaisem City Center Mall, and in close vicinity of Motor City, Sports City, famed Miracle Gardens, Tecom area, the Dubai Autodrome, and the Els Club. For the Golf enthusiasts, the Jumeirah Golf Estates is nearby. Me`aisem City Center is 5 minutes’ by walk. The hotel provides free shuttles to JBR, Mall of the Emirates and Ibn Battuta Mall. Choose from 765 elegantly designed apartments, guest rooms and suites at Ghaya Grand Hotel. The plush well-furnished rooms come with en-suite bathrooms with shower cabinet, bathtub, LED satellite TVs, air conditioning, sitting area, tea/coffee maker and minibar. The rooms come in categories like Deluxe King, Deluxe Twin, Executive Suite, Club King Bed Room, Club Twin Bed Room, Club Suite, Ambassador and Senator. The apartments come in one, two bedrooms and studio types. They are equipped with a furnished kitchen, living area and provide laundry services. 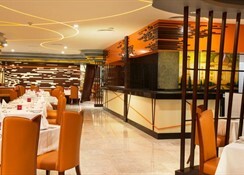 The hotel takes guests on a culinary adventure with a 5-star gourmet experience. 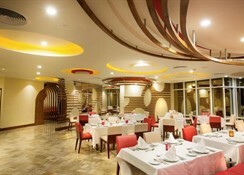 There’s a Fusion theme restaurant with changing themes through six days of the week and a Friday Brunch with fusion cuisine, Red Diamond serves all major meals in buffets with live cooking. 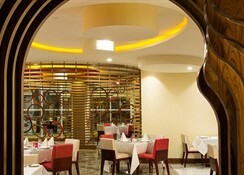 Al Mawal is for grilled delicacies along with shisha pipes on a terrace. The Lobby Lounge is a 24x7 eatery offering beverages and light bites and express meals, there’s a relaxing Club Lounge serving up complimentary breakfast and snacks to guests booked from 19 to 21 floors. The hotel’s wonderful Pool Bar serves sandwiches, tropical cocktails and fresh juices. Ghaya Grand Hotel has a large outdoor pool where guests may chill out or take a quick swim. 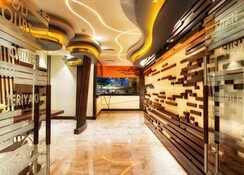 There’s a lovely spa offering rejuvenation massages and therapies, equipped with sauna and steam rooms. Fitness enthusiasts may work out at the well-equipped gym. 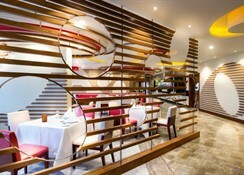 The hotel has exciting shopping, dining and entertainment options within walking distance. There are free shuttles to major malls. VAT rate will be added on guest bill upon departure.